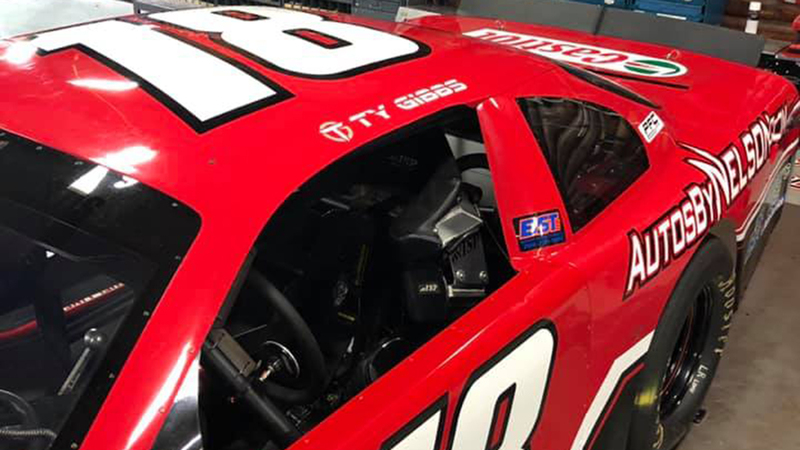 Ty Gibbs will be headed to Myrtle Beach Speedway this weekend for the IceBreaker to run a Late Model Stock Car but today it was announced that the young driver and his NASCAR K&N Series team owner David Gilliland were suspended for three races. Gilliland and Gibbs violated the NASCAR K&N Series preseason testing policy by participating in a private test at New Smyrna Speedway recently. Gibbs and Gilliland have been suspended for the next three K&N events which includes the season opener at New Smyrna Speedway on February 10th. Gilliland, Gibbs and car chief Chad Walters have also been fined $5,000 each. Walters additionally has been suspended indefinitely. Gibbs will take part in his first Late Model Stock Car event of the season this Saturday, February 2nd. Gibbs recently moved from Marlowe Motorsports to Nelson Motorsports. This will be the first of seven races he’s expected to compete in for the Nelson team. RACE22.com will be at Myrtle Beach Speedway this weekend and will provide live updates through our RACEDAY LIVE platform starting Saturday at 10:45 am with final practice for the NASCAR Whelen All-American Series Late Model Stock Cars. Cover photo by Nelson Motorsports.